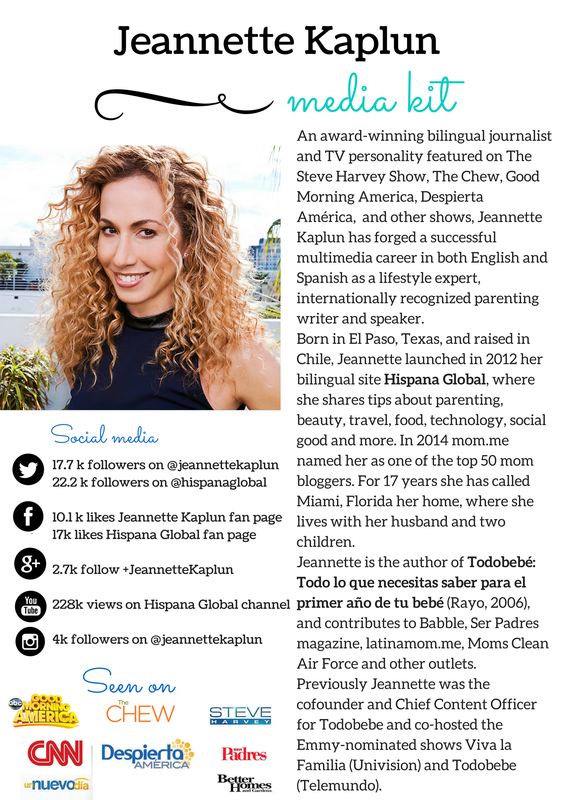 An award-winning bilingual journalist and TV personality featured on The Steve Harvey Show, The Chew, Good Morning America, Despierta América, Un Nuevo Día and other shows, Jeannette Kaplun has successfully managed to forge a multimedia career in both English and Spanish as a lifestyle expert and internationally recognized parenting writer. 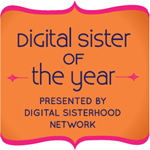 Born in El Paso, Texas, and raised in Chile, Jeannette launched in 2012 her bilingual platform for Hispanic women, Hispana Global, where she shares tips about parenting, beauty, travel, food, technology, social good and more. 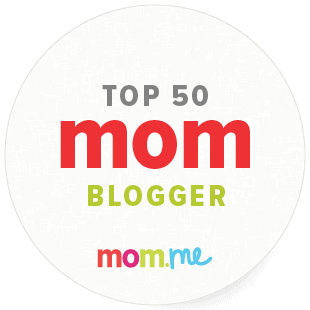 In 2014 mom.me recognized her as one of the top 50 mom bloggers and she is followed on social media by thousands. For the past 17 years she has called Miami, Florida her home, where she lives with her husband and two children. Jeannette is the author of Todobebé: Todo lo que necesitas saber para el primer año de tu bebé (Rayo, 2006), blogs for Babble, and is a contributor for Ser Padres magazine, latinamom.me, Moms Clean Air Force and other outlets. Jeannette formerly was the cofounder and Chief Content Officer for Todobebe and co-hosted the Emmy-nominated shows Univision’s Viva la Familia and Telemundo’s Todobebe. For more details, please write johanna at johannavoss.com.